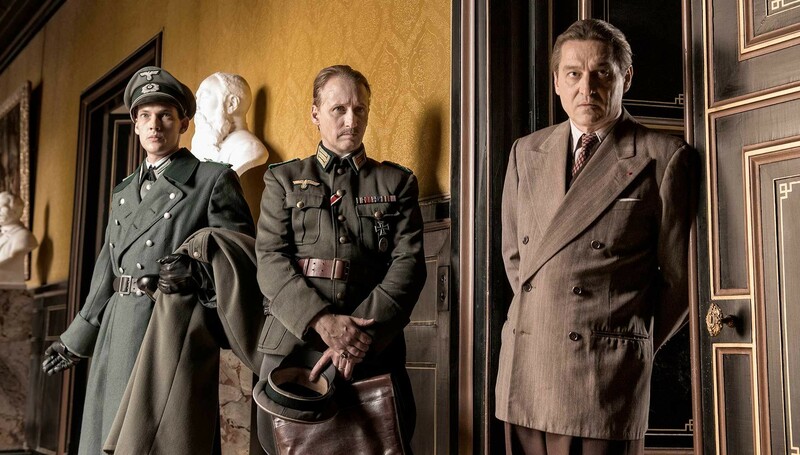 The main competition of the Venice Film Festival (Sept. 2-12) will feature a historical drama by renowned Russian director Alexander Sokurov, “Francophonia: The Louvre Under German Occupation.” The film is a co-production of France, Germany and Holland. Sokurov spoke about the film in an interview with Rossiyskaya Gazeta. Rossiyskaya Gazeta: What was the original idea of the film? Alexander Sokurov: I wondered how the Louvre could survive under (Nazi) occupation. I dealt with war many times, saw many documents, archival footage. And I thought of the days when Hitler’s army entered the territory of the world’s cultural capital. What was going on in Paris, when the French let the enemy into the capital, and the government fled to the south? How such a thing could happen at all?! I looked at it especially jealously, because I know the experience of my country. I know how much this war cost us. My father fought, we are all imbued with this memory. France has always looked jealously and anxiously at any attempt to once again return to this conflict – when the great country let the enemy into its territory. It is still a very difficult topic here. And when I said I wanted to understand how this happened, my French colleagues realized that the film would deal with historical, political, and moral issues. And these issues are really very difficult. RG: That is, in your films, Russian Ark and Francophonia, you look at both the Hermitage and the Louvre as sources of the lessons of history? A.S.: This is, no doubt, true. Among human institutions, museums are the only area where we are shown in a material way, without demagogy, what the role of art is in shaping decent, humanitarian consciousness – in the formation of a civilization. RG: How did Napoleon appear in a film about the German occupation of the Louvre? A.S.: This story concerns the very inception of the Louvre and the path the museum took from a private enterprise to a public mission. The French first formulated the grand idea of the museum as a mission of the state. That is what our politicians are just approaching – I mean, we have recently adopted a document on the foundations of cultural policy. It stated: Culture is the meaning and purpose of existence of the state. This is an important argument – it itself opposes both Soviet and Russian practice. Now it has been declared. Napoleon once formulated this, realizing that large-scale actions – political, educational – can be carried out through museums ... They can appease national egoism. RG: Your film has been ready for a long time. Why was it not included in the program of the Cannes Film Festival? A.S.: I did not want a pompous screening in Cannes, especially in the competition. We agreed on the European premiere at the festival. But shortly before the festival, people in the know told me that the French Foreign Ministry was against the screening of the picture. A Russian film director will inevitably prompt Russian ideology, and in the present circumstances, such a film would be inappropriate. So the film was removed from the program. Well, they took it off and it’s okay – it’s not a big loss. It was then taken by Venice. RG: But that didn't stop it from being shown in France, did it? A.S.: In November, the picture will come out there. [Regarding Cannes], such a political decision was made, probably in response to the current difficulties in relations between the two countries. Generally, the Cannes Film Festival is state-supported, it is very politicized and has always been so.